The United States has threatened to cut funding to Zimbabwe, after it emerged that it is among the countries in the United Nations that is most likely to vote against the US. 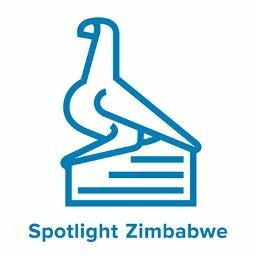 The US, through its USAID programme, provides funding for Zimbabwean health services (related to diseases such as HIV/Aids and tuberculosis), basic education, and assistance for small and medium enterprises. The threat to cut funding came after Nikki Haley, the US ambassador to the UN, warned in December that her government would be “taking names” of the countries who did not vote with America on the recognition of Jerusalem as the capital of Israel. The American people pay 22 percent of the UN budget – more than the next three highest donor countries combined. In spite of this generosity, the rest of the UN voted with us only 31 percent of the time, a lower rate than in 2016. That’s because we care more about being right than popular and are once again standing up for our interests and values. Either way, this is not an acceptable return on our investment. When we arrived at the UN last year, we said we would be taking names, and this list of voting records speaks for itself. President Trump wants to ensure that our foreign assistance dollars – the most generous in the world – always serve American interests, and we look forward to helping him see that the American people are no longer taken for granted. Funny how tiny Zimbabwe poses a threat to big powers foreign policy.